Candied cherries, mustard flavouring, glucose syrup, sugar, water. 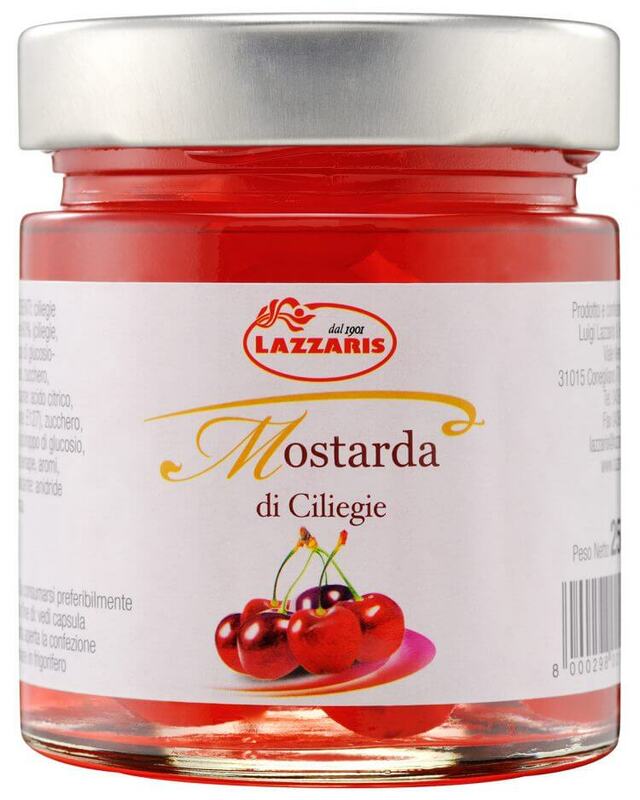 The particular taste, sweet and spicy, makes the red cherry mostarda a unique speciality. The spicy notes of the mustard take on a lighter tone and as such it is appreciated by those of a sweeter tooth. Ideal with sheep cheeses, blue cheeses, skewered meat and boiled meats. Try it with a cream cheese such as crescenza or with a more aromatic cheese, like taleggio.